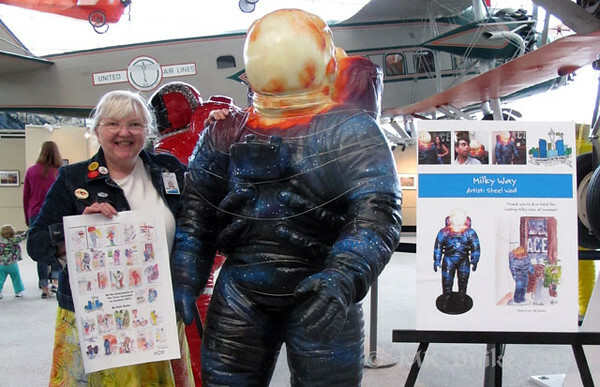 The Museum of Flight invited the public to celebrate the 50th Anniversary today. There were many activities available but I was most interested in seeing all the "Astronauts about Town" gathered together on display. I'd spent the summer sketching all 25 of them on-location. 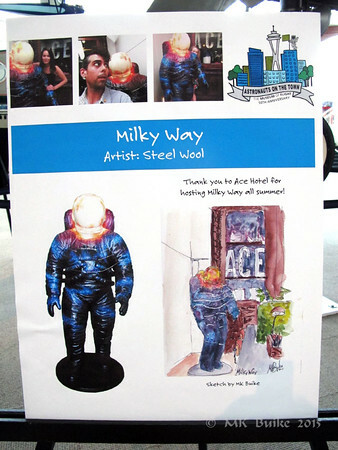 Each of them had a poster with information and each poster included my sketch of that astronaut, which I'd allowed the Museum to use (I'm a volunteer there). I meant my friend Tina after she got through the line. I prevailed upon her to take my photo with my favorite astronaut and holding my poster of all the sketches. (I'm dressed for the 60's costume contest, tie-dye and vintage buttons). 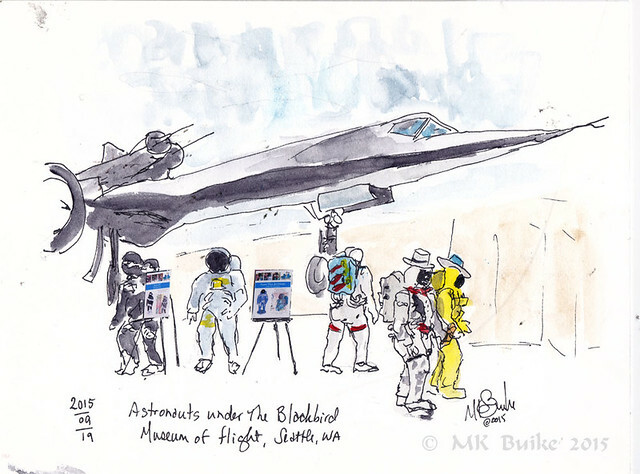 I did one final sketch for this project: the astronauts on display under the Blackbird. More on my personal blog, here. Very cool, Kate. Way to go! Congratulations.